Too much Chaos going on right now so am not able to keep pace, but I got an update from Kirsi in Finland. She has a smooth collie puppy girl, named Salli. 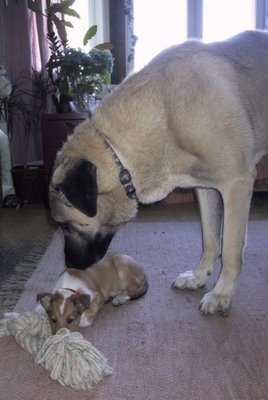 Kadim, her Anatolian is very interested in the munchkin! I got a grin out of this doggie's goodies vending machine which is located in Dallas. DALLAS — White Rock Lake Dog Park has to be the top dog park in Dallas, with areas for big and small dogs, access to the lake, and a large population of supportive and savvy dog owners. 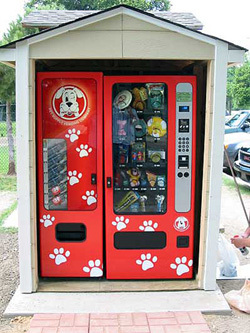 And now, a doggie vending machine, too. A doggie vending machine, what a great marketing idea. I'll bet it does very well as cute as it is.